The twin on the left got her Botox randomly while the twin on the right got her Botox regularly every 3 to 4 months over a ten year study. The passage of time shows how much smoother and refined her forehead appears while the twin on the left appears to have aged. 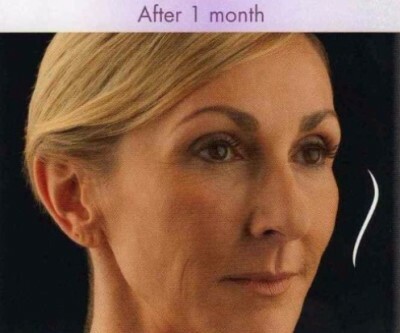 Botox is a muscle relaxer and not a filler. 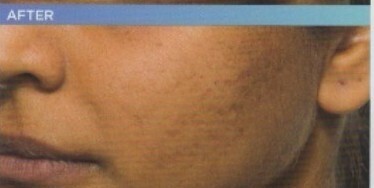 ASK ABOUT OUR BOTOX SPECIALS! ARE YOU SIGNED UP FOR REWARDS? 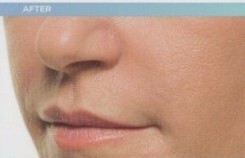 Juvederm is a smooth soft filler with instant results. It lasts up to a year and adds volulme. 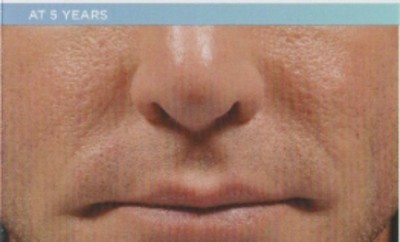 If you are looking to restore a soft, natural rejuvenation especially revolumizing then Juvederm is a top choice. You also earn Brilliant distinction reward potins. 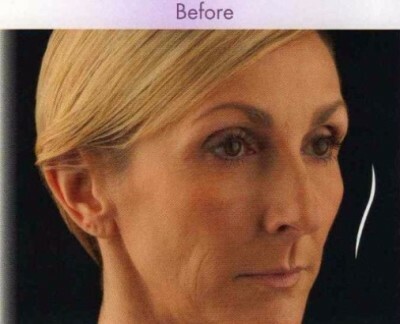 Great filler for when you notice "under your eyes" looking hollow and losing volume in your cheeks. 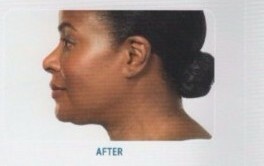 Keeping your cheeks plumped up is essential to a more youthful appearance. 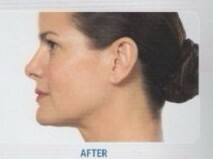 When you lose volume you really start showing the sinking and sagging in your face, which contributes to your changes showing on your jaw line. 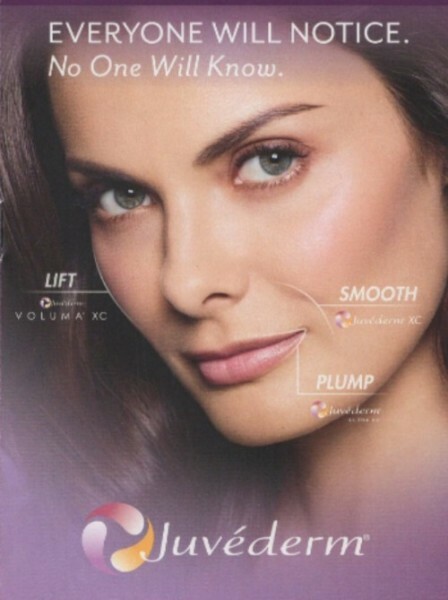 Voluma is another product with rewards. Are you signed up for Brilliant Distinctions? 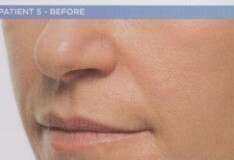 Volbella offers instant results with no downtime. 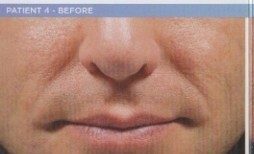 Are you tired of those dreaded " smokers lines & straw lines" ? Change that old look for a fresher look with a great product! Brilliant Dictinction Rewards Program points! Do you dislike your profile? 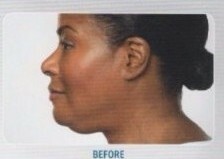 Help take the "Double" out of your chin with this procedure. 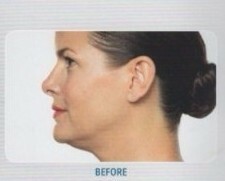 Ask about nonsurgical Kybella that permanently destroys fat cells in the treatment area under the chin. This procedure takes about 30 minutes in the office and you can drive yourself with no downtime. Call for details (251) 344-0044. You can earn Brilliant Distinction points with Allergan. Are you a Brilliant Distinction member? It's free to join. 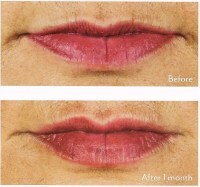 combined with subcision and or CO2 Fractional laser for laser skin resurfacing & renew your appearance. If you have questions....We have answers. Call (251) 344-0044 for a complimentary telephone consultation today!